rob : Thanks for the update, pleased to know that you have succeeded in overcoming the problem. However, I do have to say, that as far as your old mast head amplifier as well as the age of is concerned, they either work or they don't, never partially unless through internal corrosion caused by water ingress, and your success is more likely to be attributable to the 4G filter incorporated within the new amplifier rather than anything else. Although you cant go wrong by updating / replacing your old masthead amp. and no sound because of that I guess. Not one channel. Watching TV is becoming a nightmare as I never know if I will get to the end of a programme as we keep 'going off' sometimes all the BBC (at least I can watch BBC live on my desktop) sometimes ITC programs or Freeview, sometimes all. This has been relentless for the last month or so. I share a communal arial, and all leads are OK. Please help as is sending me MAD!!!! First thing you need to investigate, are others on the same communal system having the same symtoms? If the only one with problems and your sure your tuned into correct channel frequencys hook another TV up to the same outlet to prove its not or is your TV at fault. 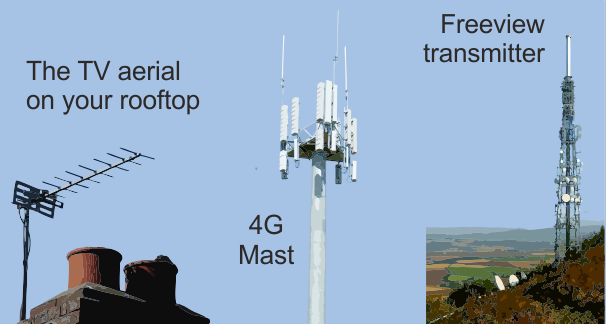 Marcia: Firstly, if you did have a 4G mast next to your home, It's very surprising that you never got a postcard about 4G - even I got one, and my nearest mast was a couple of miles away. And you could have got a free 4G filter just by contacting A800. Next, you havn't given a postcode, so we have no idea what your signal is like in relation to your transmitter, or which one it is. Do you need a booster? 4G hits higher frequencies in rural areas that have a weak signal strength, and are most likely to hit receivers that have boosters. 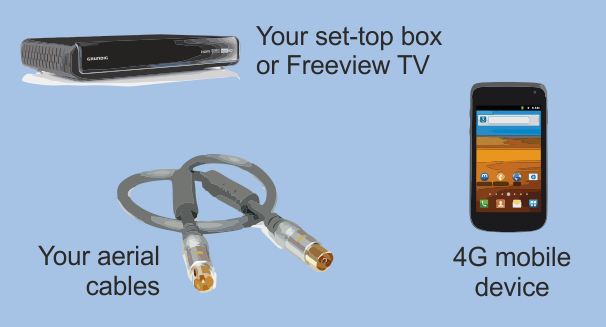 There could be a number of reasons why your TV signal is poor - your signal could be too strong, especially with a booster, or it could have a fault with the system itself - perhaps loose or waterlogged connections. The reality is that the vast bulk of people who've said they've had a problem with 4G are suffering from something else. For some time, on my Humax DVR TV Guide (on which I only have 15 channels) channel 24 - ITV4 (which I rarely watched) shows only "Quest Red+1 is back at ...". What does this mean? I can see that ITV4 is still there on my Panasonic TV..